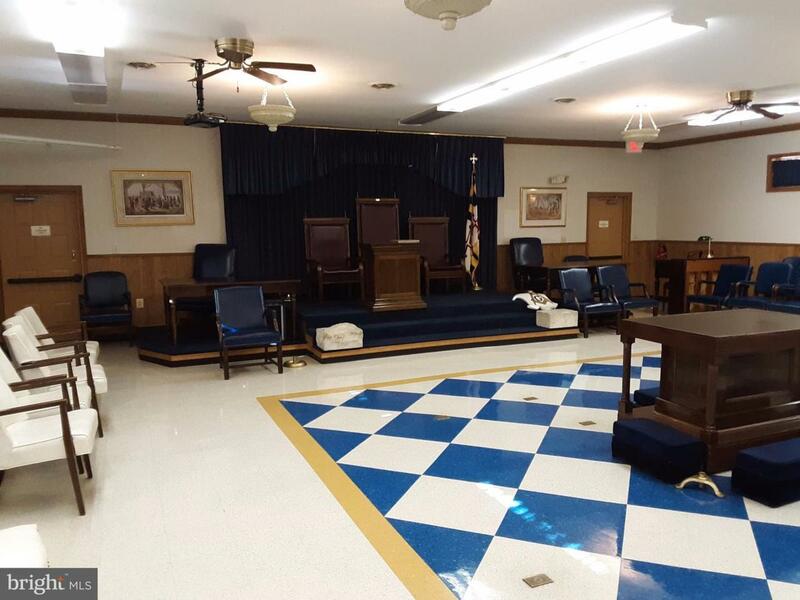 This is a Masonic Lodge that is used by several other organizations on a part-time basis. This would be perfect for a Small to Medium sized Church or Synagogue; it is available on Saturdays or Sundays, and another day, possibly Friday or Tuesday, preferably at night for rehearsals or meets for the Church or Synagogue. But might be great for a Social Club Meeting Place, Yoga/Exercise Classes, Scout Meetings, or a possible weekend Gallery. 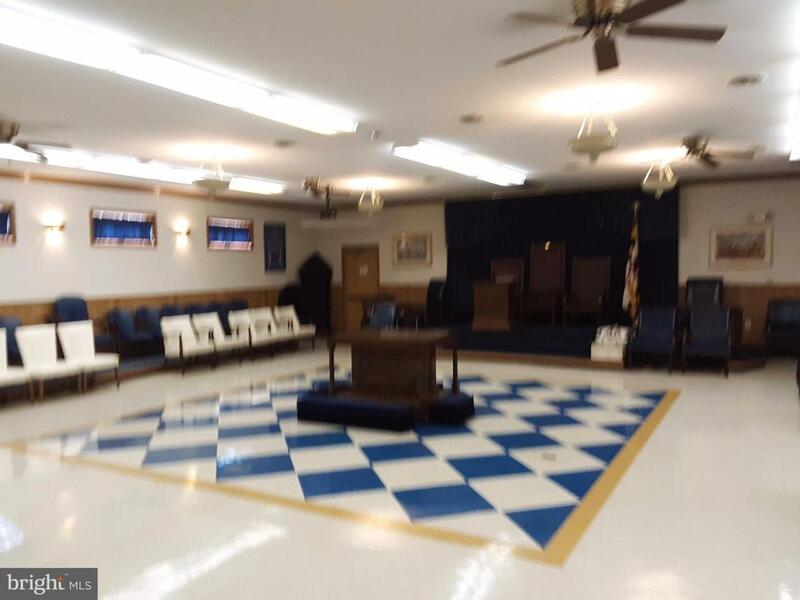 At approximately 3800 square feet, it features a Large Main Hall that can accommodate 120 persons, 2 Dining Rooms for 70 persons, Fully Stocked Full Size Kitchen, 3 Restrooms, 3 Smaller Meeting Rooms, Private & Locked Storage Rooms, a Large Open Parking Lot for 70+ Vehicles, Handi-Cap Access, ALL Utilities are included in the rental price. 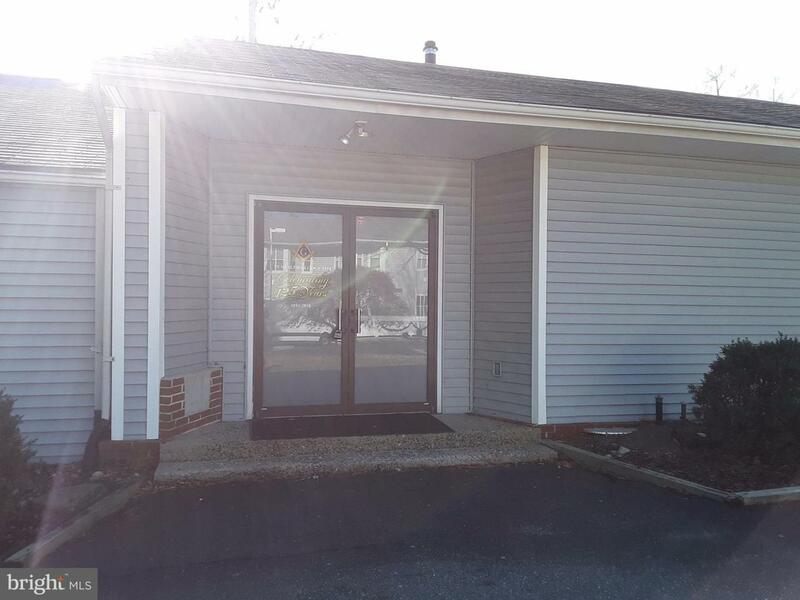 1 Month Security Deposit and minimum 24 Month Lease & Renters Insurance is required. 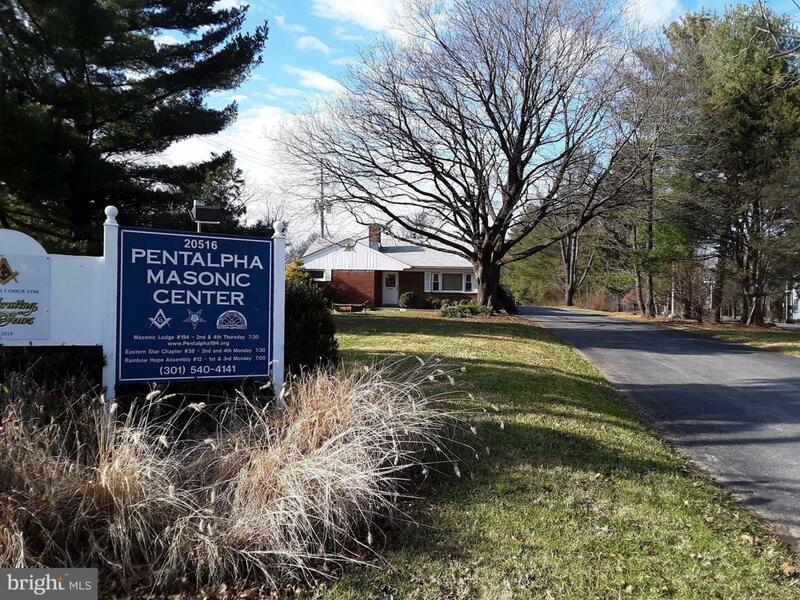 Please contact the Property Manager, Skip Richard, at 240-552-1778 for questions and a TOUR. Inclusions All Utilities Plus Janitorial Trash Lawn & Snow Removal included At No Charge. The Kitchen Features Newer Appliances And Comes Fully Stocked With Pot & Pans Serving Utensils And Some Use Of Plastic-Ware Cups Plates Napkins. Also Features New Folding/Padded Chairs And New Folding Banquet Tables The 3 Restrooms Are Completely Stocked As Well.